The Dot System TCMS is a modular platform built with the purpose to control and monitor the flow of information on-board and between train and ground. 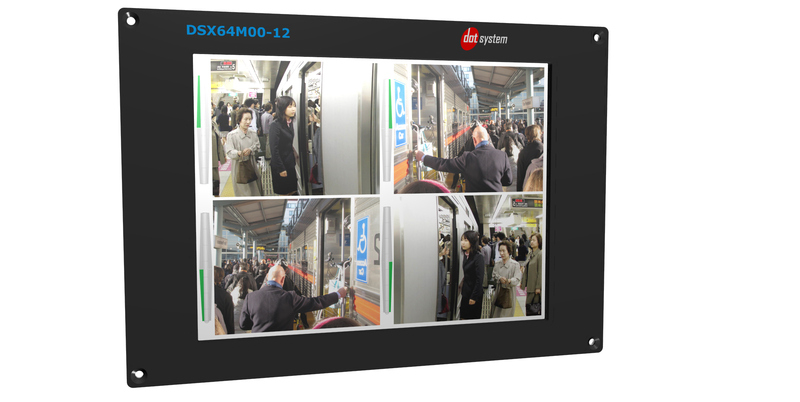 Complete family of TCMS monitors based on a processing architecture for multimedia and data communication applications powered by Linux Operating System, designed in full compliance with the stringent regulation for on board railway and light rail vehicles applications. 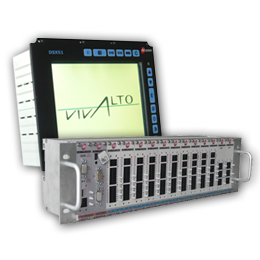 Complete family of TCMS monitors based on a processing architecture for multimedia and data communication applications powered by Linux Operating System for onboard railway and light rail vehicles application. Interface unit for Train communication and management system. Equipped with 32 digital inputs, 20 digital output rating at 0.7 Ampere 4 rating at 3 Amperes, 4 analog inputs with configurable current or voltage measure and 4 analog voltage outputs. FlexRail I-O is a new family of Intelligent Input/Output module based on a flexible and modular design and product concept. A virtually unlimited configurations can be built combining the CPU, Power digital and analog Input and Output modules available from the FlexRail module portfolio. The expansion features of the FlexRail architecture allows to expand them also after the sale by adding new once, not originally forecasted Input or Output modules. Two different expansion strategies are implemented by a module plug-in to the main FlexRail Structure and by a FlexRail remote Slave unit.